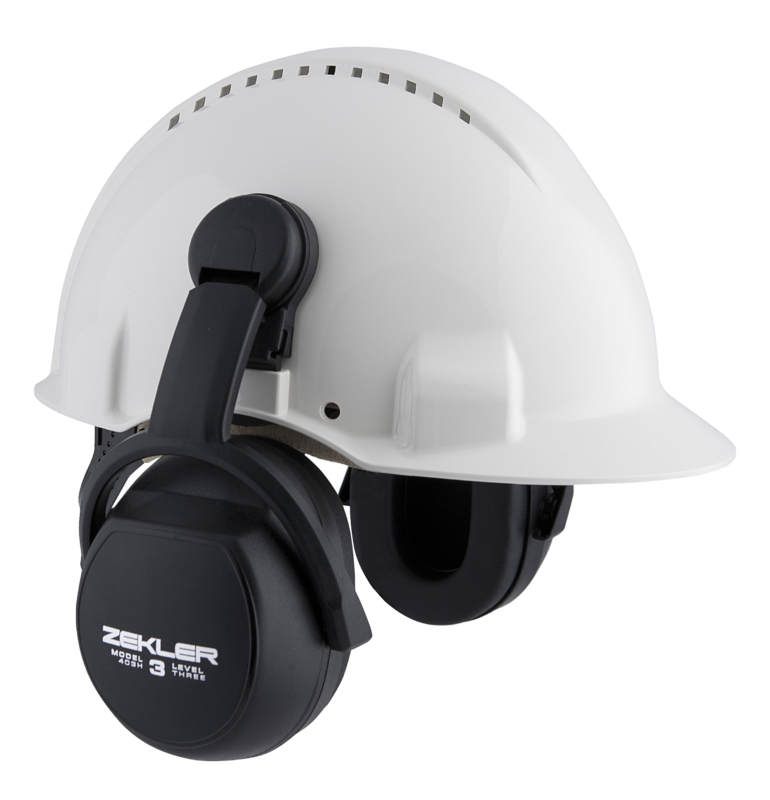 Comfortable earmuffs hard hat attachment with exceptional attenuation across medium and low frequencies. The hard hat attachment with fork-mount and the wide sealing cushions give a constant head presure and comfortable use. Helmet adapter prepared for mounting the Zekler visor system.